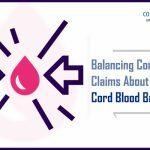 Home > Cord Connect > Cordlife India > Banking a baby’s cord blood may save their life. Is it worth it? Amidst all the other do’s and don’ts, expecting parents have yet another decision to ponder on! That of cord blood banking. Keeping in mind the innumerable success stories that are circling round the globe, of how sibling’s cord blood stem cell has saved her elder or younger sister’s life to miraculous recovery within the family, cord blood cell banking is akin to opting in for a biological insurance. And on the other end of the spectrum is the reality that the process is an expensive one. So, when caught between the perils of high price and the possibility of cure (should any adverse disease were to occur), expecting parents often gets befuddled and unable to decide, if cord blood banking is worth it. Let’s start by counting the benefits. 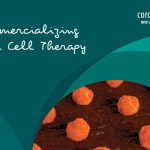 Cord blood stem cell banking and transplant also holds the key to the success of regenerative medicine. This simply indicates making use of stem cells to be able to regenerate tissues and organs, that haven’t been functioning in the optimal way, leading to macular degeneration which in certain chronic situations, also result in a loss of vision. Hence, today, doctors, medical experts and researchers are making use of cord blood stem cells to commission clinical trials in many phases to discover miraculous treatments to diseases and bodily disorders that otherwise is considered to be irreversible.